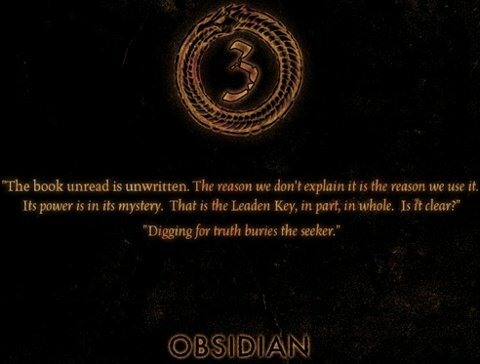 Obsidian Entertainment is offering new hints about their upcoming game today. The teaser site has been revised with mysterious new incantations. "The book unread is unwritten. The reason we don't explain it is the reason we use it. Its power is in its mystery. That is the Leaden Key, in part, in whole. Is it clear?" reads the site now. "Digging for truth buries the seeker." The source code has been updated as well with additional clues: "Two centuries ago, your divine champion told the people of Dyrwood to grovel at his feet. If you've come on pilgrimage to the blasted crater that was our reply, Godhammer Citadel is *that* way." Yesterday the website was adorned with the number 4, surrounded by a serpent or dragon. Some thought that this meant the game being teased was Dungeon Siege 4. Today, however, the number has changed to a 3. It's a countdown. If the timer continues to tick at this rate, Obsidian will announce this game on Friday. If you're looking to participate in the speculation, head to Obsidian's forum.